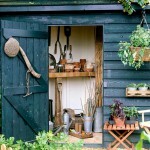 Many homeowners are torn between a garden full of vegetables and a garden full of colourful flowers. There is good news, you can have a vegetable garden that is as pleasing to the eye as any flower patch. All it takes is a little thought and ingenuity, and you will have both, fresh, healthy veggies that are grown in a garden that no longer resembles a plain vegetable patch. There are many vegetables that you can add to a vegetable garden to add lots of colour and texture, Kale is an excellent example of a flowering vegetable, and then you have different lettuce types that have different coloured leaves. These dark leaves can add contrast to the regular splash of green. You can also add some flowers into the mix for another dose of texture and colour. There are other benefits of introducing flowers in and around your vegetable garden. These flowers not only make your yard look beautiful and colourful, but some are also edible. There is a second reason, and it is one that helps your other vegetables. These flowers not only attract insects which help with pests on your vegetables, but they also confuse the pests of where your vegetables are in the first place. The overall impact of your vegetable garden can make it appealing to the eye, and without compromising on your growing capacity. One thing you do have to have is pathways, these are a necessity to make sure you can reach both sides of your beds. 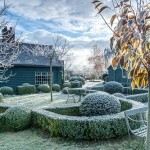 Many gardeners keep to the natural earth paths and rectangular shaped growing beds. Depending on the size of your area, there is no need to stick to these conforms. Beds that are irregular shapes can lead to some fascinating path patterns. If your growing beds are a permanent fixture, you can take your paths to the next level and opt for pavers or brick. Even gravel can be used, yet this is not so good if you have a wheelbarrow to push around your garden. 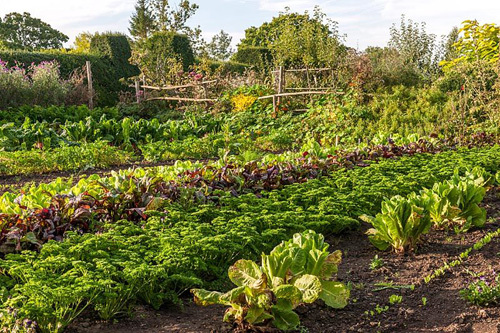 A raised bed can add a wealth of dimension to any vegetable garden layout, not only do they look good when constructed in irregular shapes (an L shape a good example) and they keep your garden clean and tidy. If you are starting from scratch and have the budget, you can easily incorporate seating into the design of your raised beds. Generally raised beds are made of wood, yet it is as easy to have them made from stone. A simple bench placed here and there gives you a chance to relax after a hard mornings gardening, and it gives you a place to sit while you check which vegetables you have ready to harvest. 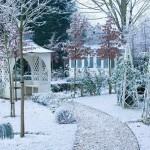 If you wish to add structure to your garden, so it does not look flat. You can add structures for climbing plants to grow up rather than an ugly old pole. 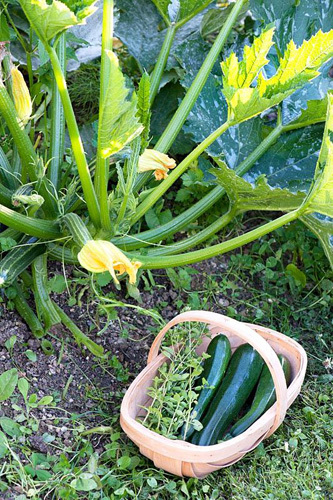 There are many climbing vegetables you can place around structures that will transform your garden. Cucumbers, beans, peas and even vine tomatoes. Some gardeners also go as far as incorporating wire formed archways into the garden which give another depth once your vegetables grow up and over. Containers are another great way to decorate your vegetable garden. 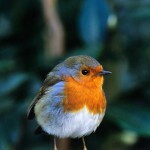 These can be placed pretty much anywhere depending on what you are growing in them, from herbs to tomatoes, they all change the look of your garden. 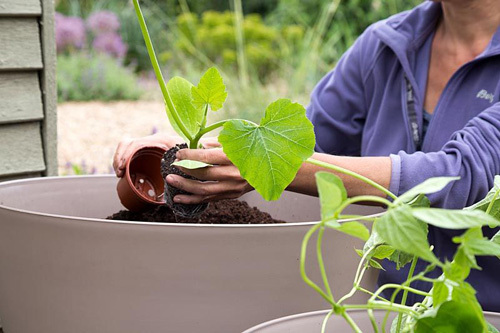 When you opt for containers, you are not limited to round pots that will quickly become plain and boring, a little ingenuity and your garden will look like no other. One prime example for your garden is the use of barrels, these can be cut, either horizontally or vertically giving you two very different shapes and design. When you want to create a fantastic vegetable garden, you will find that you are only limited by your imagination. It is possible to do pretty much anything that can transform a somewhat flat garden into a thing that has vegetables growing up, across and even down. 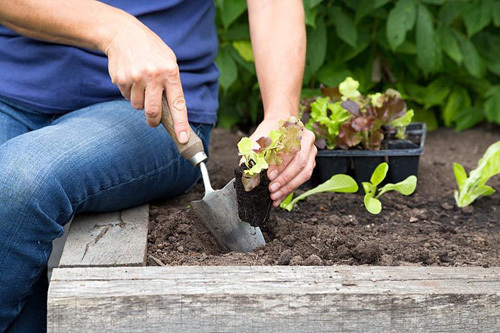 All you have to do is incorporate a little more planning into your garden than you would as if you were sticking with a regular vegetable garden. It might seem a little more time consuming, yet it is something you won’t regret. 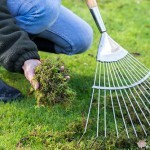 You will have a beautiful looking garden which comes with one significant benefit. 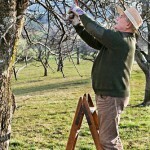 You will find that you can grow more produce when you grow upward and outward. BIO: Tim Graham is the head writer over at yardandgardenguru.com where he writes about his passions in life yard care, gardening and getting outdoors. This entry was posted in Expert advice on November 1, 2017 by gapadmin.